SERVICE QUALITY ASSURANCE VALUE /. JPC services have been cleaning office complexes of all sizes for over 22 years. In that time we have biult a wealth of experience related to cost effectiveness, standards required and frequency of cleaning procedures. are a well established, family Business who since 1989 has delivered purpose built cleaning solutions for all our customers. 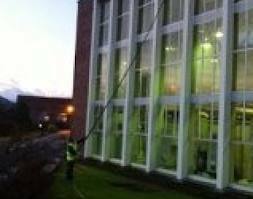 JPC services have been cleaning office complexes of all sizes for over 22 years. In that time we have biult a wealth of experience related to cost effectiveness, standards required and frequency of cleaning procedures. We are capable of producing a tailor made specification to suit your individual circumstances. Very few biuldings are identical and the standard required by two seperate customers will most probably differ. The variation in cleaning standards from site to site is immense. Realistically, the board room, where you constantly entertain high powered visitors, would have a standard that meets those requirements. Your specific needs directly relate to the standard requested, which in turn should be reflected in the cost of the contract. Somthing in which you have total control. Several studies have suggested that a clean and hygienic work area has a very positive effect on the work force. Cleanliness of items in common use i.e. telephones being sanitised, can combat the spread of illnesses and consequently reduce absenteeism considerably. A cleaner and friendlier environment help morale and shows the employer is concerned about his/her workforce. If however, in today's competitive world you need to look at costs, an adjustment to the cleaning frequencies can result in a saving without a dramatic reduction in standards. We are all aware that such a reduction in costs does not mean that the standards have to go from one end of the scale to the other. Overal, a well thought out contract cleaning specification can be extremely cost affective and will send a very positive message to your staff and customers. JPC Services is committed to provide our customers with a level of service, which will more than meet all expectations of professionalism, expertise and quality. All contract work undertaken by the company is assessed and reviewed by a highly experienced and qualified management representative. 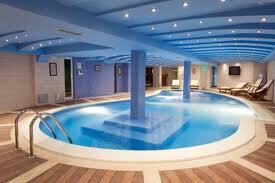 Our prices are presented to include a full cleaning specification, details and resources required to perform the work. Together with documented cleaning instructions, quality assurance procedures are issued to all contracts undertaken by the company. All contracts are regularly monitored and formally inspected by our team of experienced Area Managers; your assigned Area Manager’s prime responsibility is to deliver value to our customers. BS EN ISO 14001 is an international standard for Environmental Management Systems. JPC Services successful registration means the firm demonstrates that it takes its environmental responsibilities seriously, JPC services is currently reducing all its carbon emissions & saving energy where ever possible to help the environment by following its EMS programs.